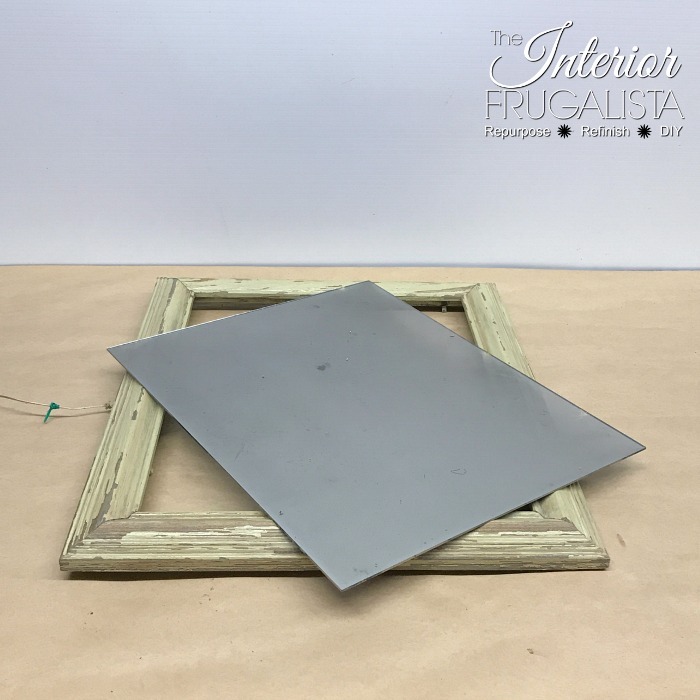 Have you ever wondered how to turn picture frame glass into a reflective mirror? It's actually quite easy and fun to watch the glass transform like magic in less than 15 minutes. 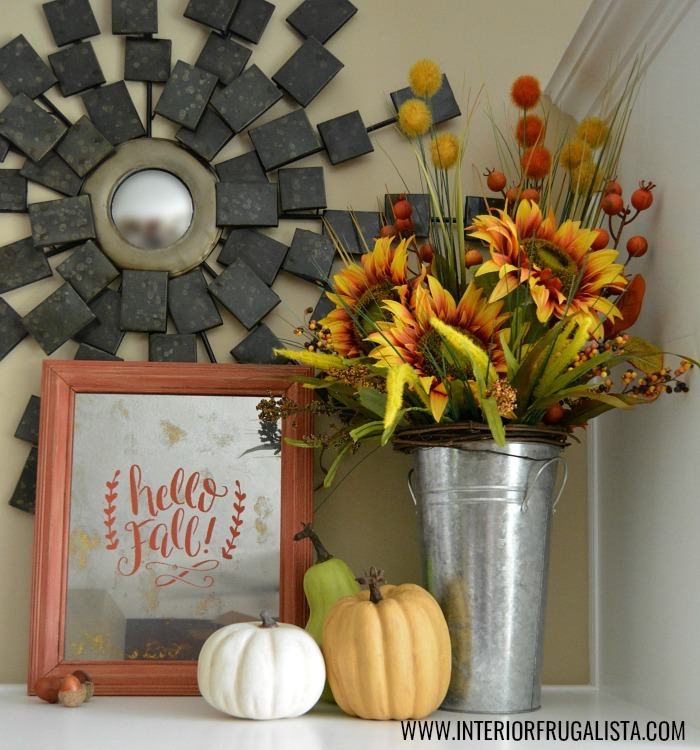 This is such a budget-friendly Fall decor project too because you can pick up an old frame at a thrift store for a couple of bucks. 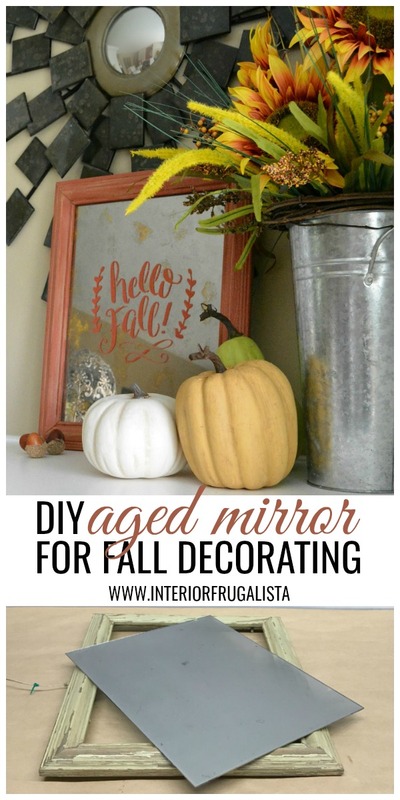 I took my looking glass mirror a step further by turning it into an Aged Mirror for Fall and I show you how. I've had my looking glass mirror hanging outdoors on the fence for a few years. While the mirror held up perfectly well, the wood picture frame took a beating from the elements. I brought it inside earlier this summer with the intention of repainting it for outdoors and forgot about it. 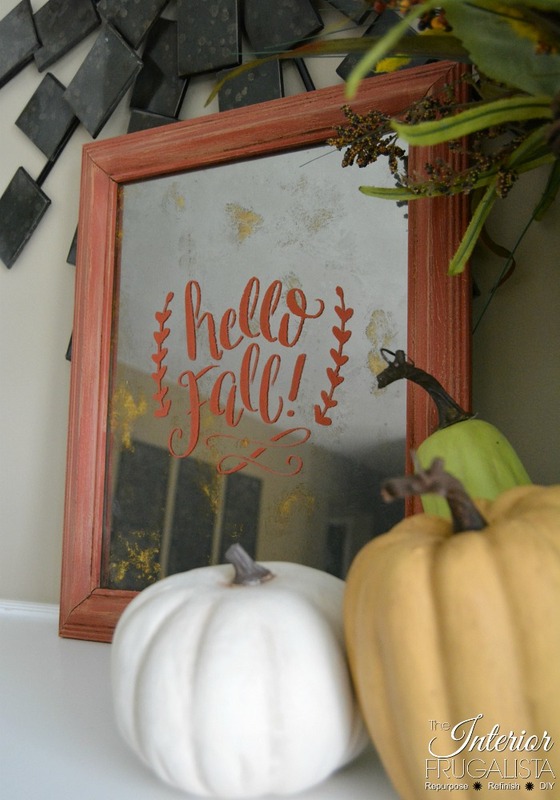 A few weeks ago while working on other Fall projects I found the framed mirror under a bunch of craft supplies and inspiration struck. This is the DIY reflective mirror and chipped and peeling painted frame salvaged from the backyard. 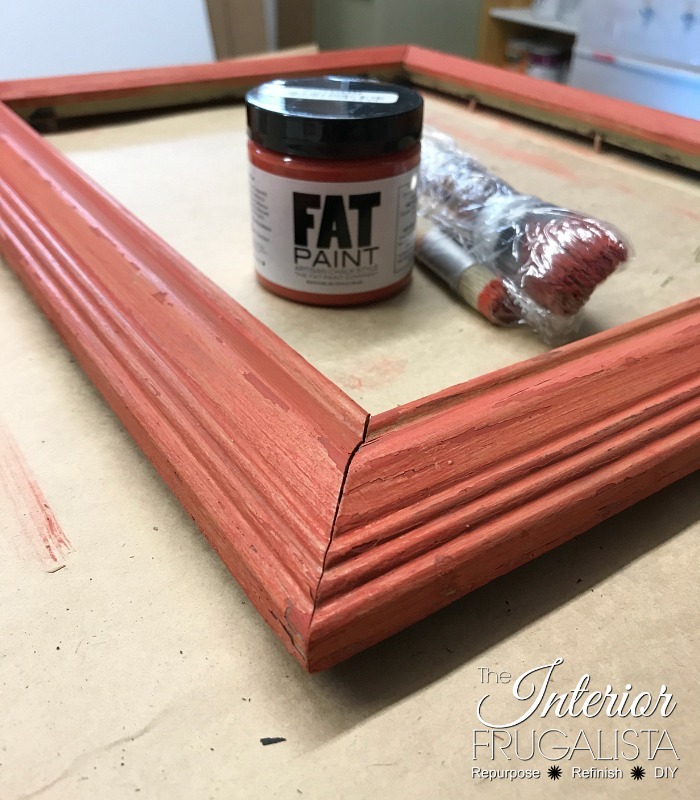 After washing the dirt and grime and sanding the loose chipped paint, the frame was painted with two coats of the most suitable Autumn chalk paint color. 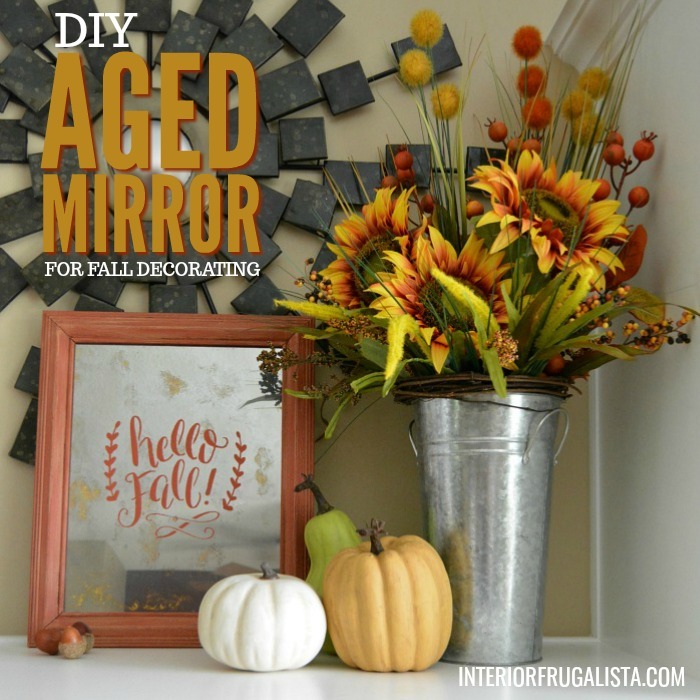 While I was transforming the aged mirror I was also working on painted dollar store pumpkins for Fall. 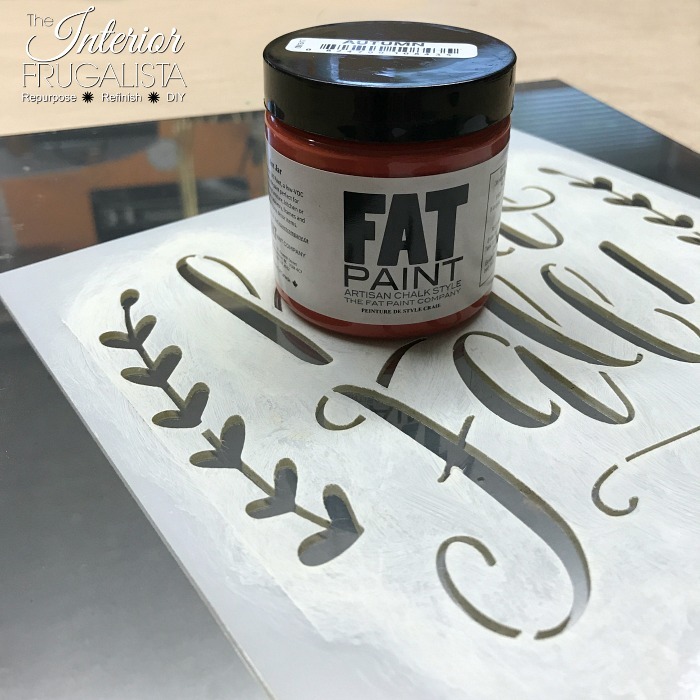 When painting the mustard yellow pumpkins with Arles chalk paint, I dry brushed a layer onto the painted picture frame too. 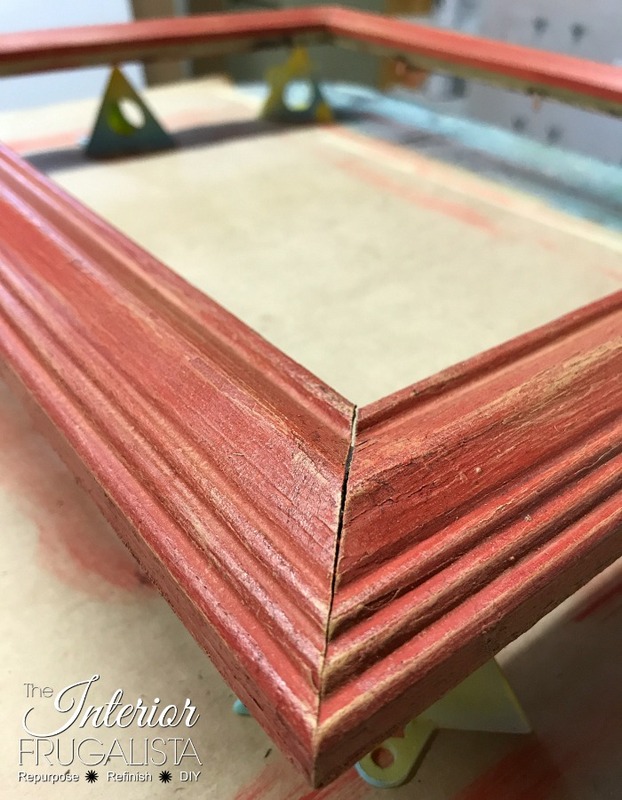 To age the frame I rubbed Antique Brown dark wax with a lint-free rag, applying it heavier in the grooves and ridges. 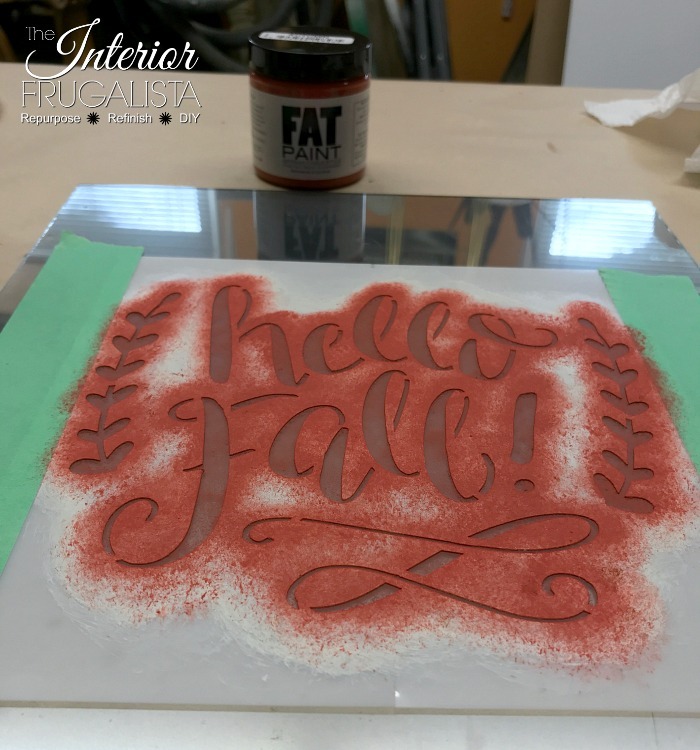 Instead of writing a detailed tutorial here in this post, check out my detailed step-by-step tutorial here in my post, How To Turn Ordinary Glass Into Looking Glass. 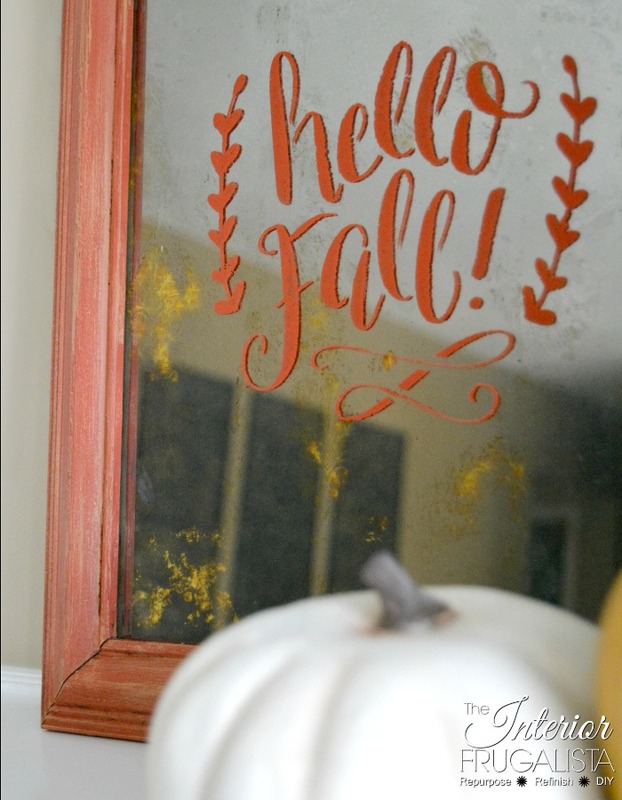 With the same stencil I used on my DIY Checkered Pillows For Fall, I stencilled the unpainted side (facing outwards) of the looking glass mirror with the same Autumn chalk paint as the wood frame. Spray stencil adhesive held the stencil firmly in place and the sides were taped with wide painter's tape to prevent the brush from going over the edge. 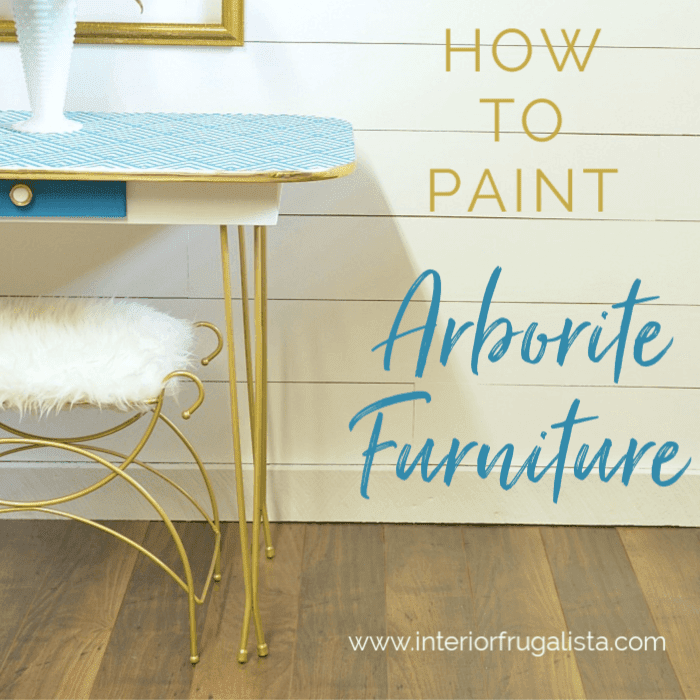 I used an up and down pouncing motion to apply the chalk paint and it took several layers to cover the reflective surface. You could use a glass or multi-surface craft paint as well. Surprisingly the back side of the mirror that was originally painted with Krylon Looking Glass Spray Paint was still in good shape. To age the mirror I randomly dabbed a wet rag onto the painted side of the glass to remove parts of the reflective finish. 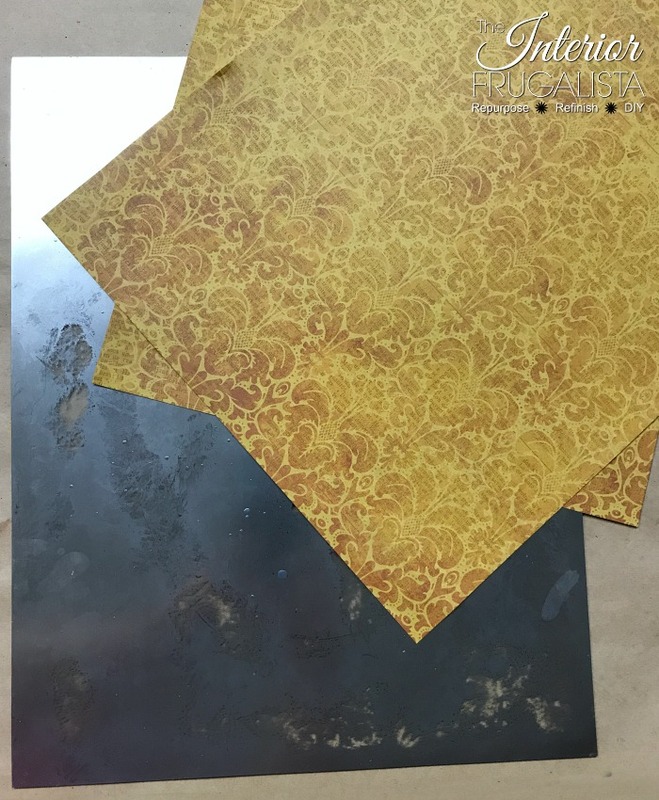 To add to the aged antique look of the mirror, I added a vintage looking mustard yellow damask scrapbook paper to the back of the mirror before placing it back inside the frame. A few years ago I aged an inexpensive floor standing mirror from Walmart using a papered back. That is a different process because rather than adding a reflective paint, you're removing parts of the reflective mirror. 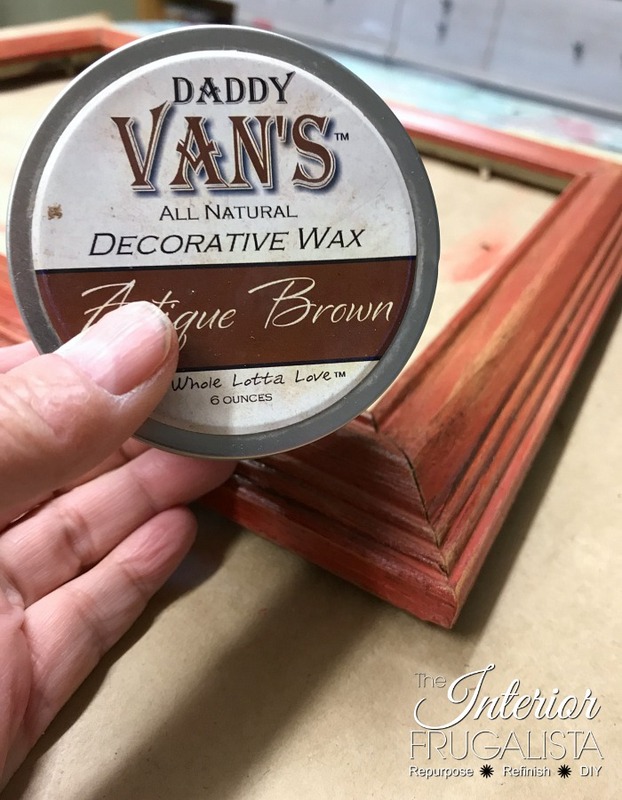 If you're interested in learning how to do that, visit my post How To Make An Ordinary Mirror Look Antiqued. Can you see the paper peeking through the distressed parts of the mirror in the photo below? 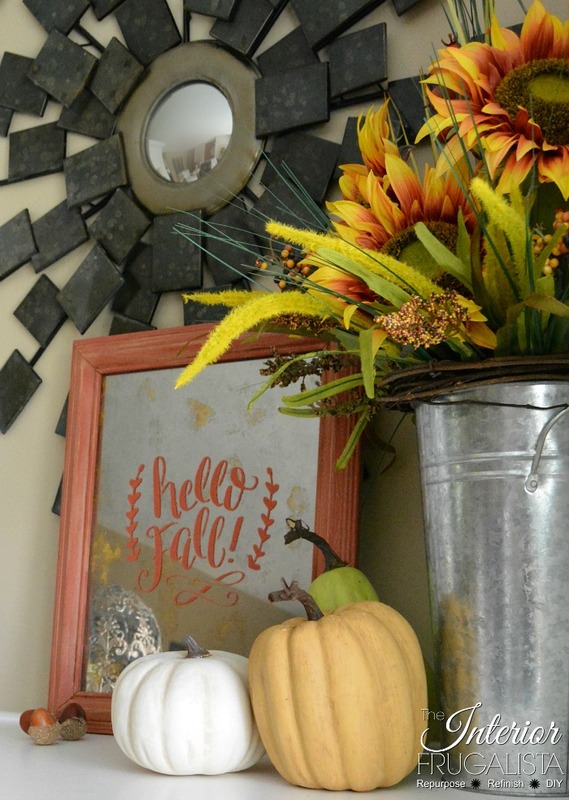 I love how the Hello Fall Aged Mirror looks on my fireplace mantel. 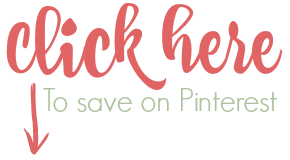 Using this same process you could make these for every season or holiday. 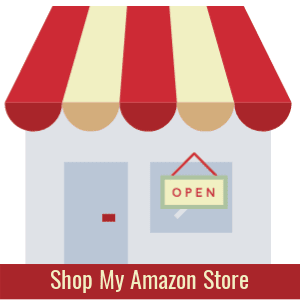 They'd also make lovely gifts. 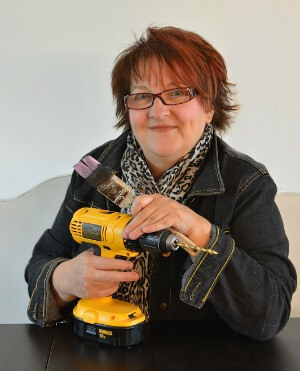 For more Fall inspiration check out my Fall Projects page. So what do you think? Would you make these for your seasonal decorating? 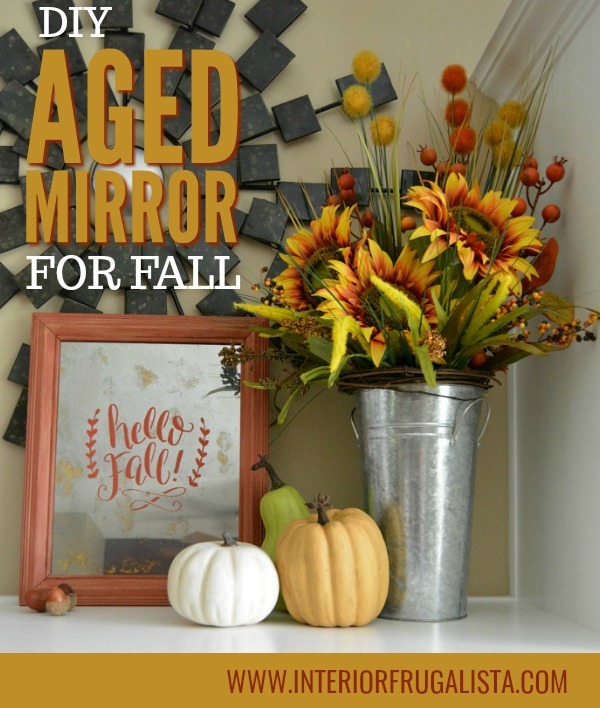 If you have any questions about the DIY Aged Mirror Effect, either leave them in the comment section below or feel free to email me by pressing the Contact Me tab at the top of the blog.